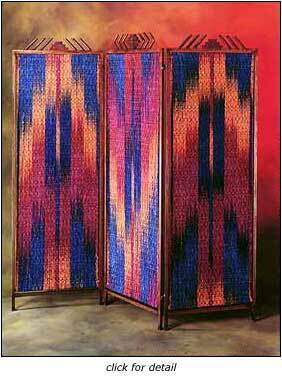 Wendy’s privacy screens were originally inspired by Asian scrolls. 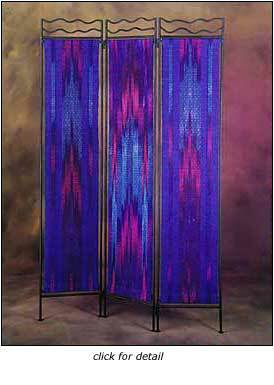 Her concept grew from a single narrow wall panel to triptychs to free standing floor screens and gliding walls. 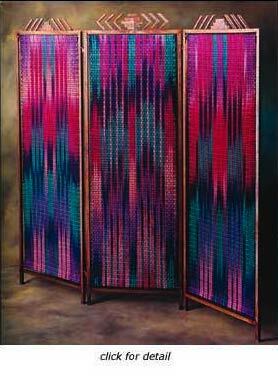 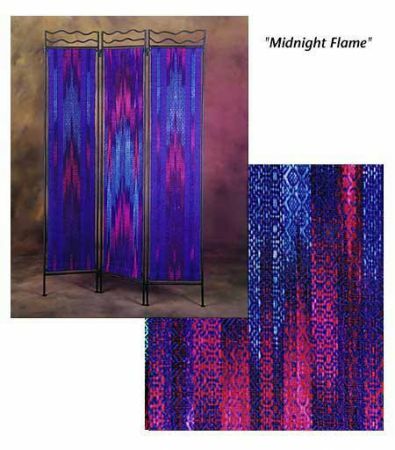 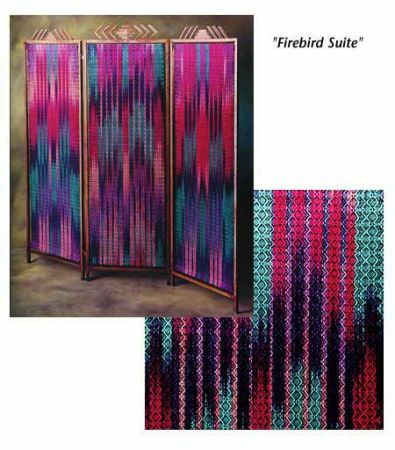 Any number of panels can be woven using any fiber and color combination to match your décor. 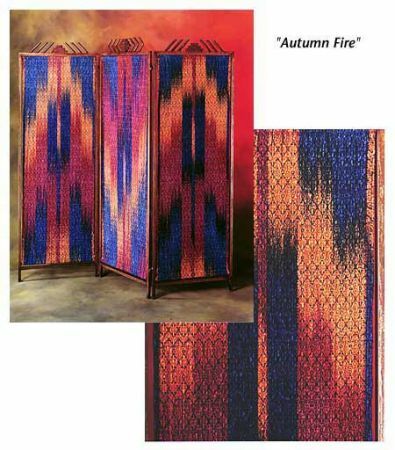 Frames can be custom designed from metal or wood.